Raleigh - Durham Intl. 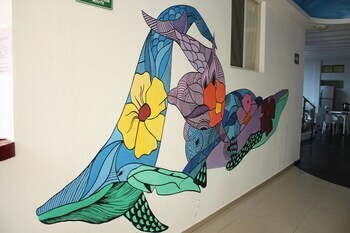 - Cancun Intl. If you're on your way to Playa del Carmen and you don't know a lot about it, there's no need to stress — we'll give you the lowdown! 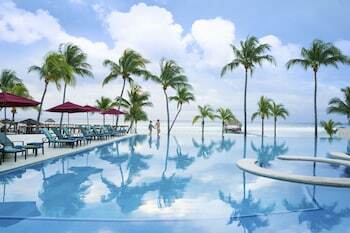 Playa del Carmen lies 40 miles (64 kilometers) southwest of Cancun, a well-known city. This part of Riviera Maya boasts a population of around 100,000 people, some of whom will surely be happy to offer you some local travel tips. Ridiculous bargains are right at your fingertips when you book your accommodation and flight package deal via Travelocity. And don't forget — you can choose from more than 400 airlines and 665,000 lodgings. Looking for a worry-free getaway experience? Our Customer 1st Guarantee offers 24/7 personal assistance on all services. If you encounter a cheaper deal on a different site, we'll refund you the difference^. There's no way to tell when a situation will present itself. However, when you book a package deal, we guarantee no cancellation fees from us. And so long as you get in fast, many accommodations don't charge fees either^. Studied up on Playa del Carmen, sorted your vacation outfits but haven't yet locked in a place to stay? Travelocity is here to help. Select from our 329 properties and start packing your bags! After a long day of exploring, there's nothing better than coming home to a stylish room and a plush bed. The Ambassador at Grand Velas All Inclusive (Carretera Cancun Tulum Km. 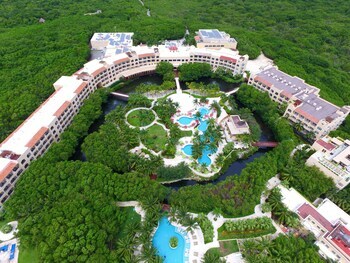 62) and the Grand Class at Grand Velas Riviera Maya Adults Only (Carretera Cancun Tulum Km. 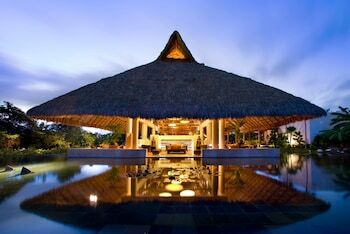 62) are the top upmarket properties to consider in Playa del Carmen. 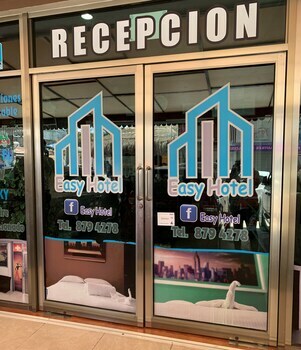 However, if you don't think you'll spend much time in your room, why not try a cheaper option like the El Faro by Bric (Calle 10 entre 5a y ZFM) or the Royal Palms by Bric (Calle 26 entre Avenida 1 y 5)? Where do you fly into for Playa del Carmen? 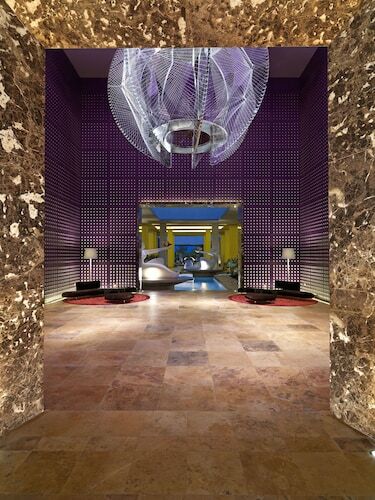 Prepare for some one-of-a-kind experiences in Playa del Carmen. 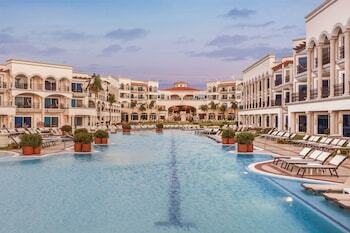 Once you've left Cancun International Airport (CUN), the main streets will be 30 miles (48 kilometers) away. Can I rent a car in Playa del Carmen? Going off the beaten track is an excellent way to travel. So, why not do it from the driver's seat? 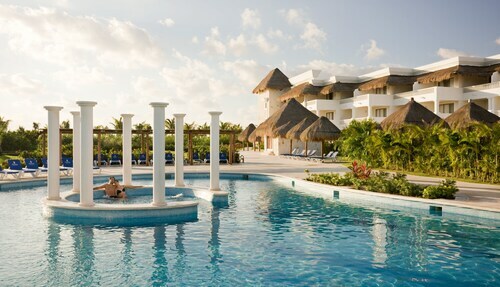 Organize a rental vehicle via Travelocity and get set to crank up the tunes in Playa del Carmen. Thrifty Car Rental is right in the city center. All you need to do is head to Calle 8 Norte Loc. 6 Between 5Th And 10Th Avenue. Another comparable option is Budget at Calle 4 Norte, Entre Av 10 Y Av 5Ta. 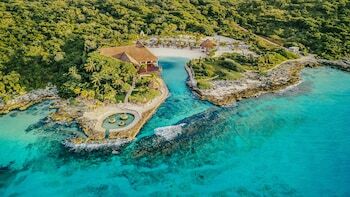 If you want to visit some of the significant places here, add the El Camaleon Golf Club and Xcaret Eco Theme Park to your travel program. Eager to add some greater meaning to your travels? Make the trip to Guadalupe Church. Regardless of your beliefs, it's a great place to observe and find out about the local religion. Want some more ideas? Grab some cheese and a bottle of wine and head on over to Mamitas Beach Club. It's one of the most picturesque destinations in the surrounding region for a relaxing picnic. But there's more. Whether you're aiming for a hole-in-one or simply in the mood to have some outdoor fun, you'll have a ball (pun intended) at Playacar Golf Club. So you've hopped off the plane in an exotic new destination — what's next? How about you kick back, bide your time and see what incredible experiences and once-in-a-lifetime adventures head your way? After all, isn't that what travel's all about? Visit Playa del Carmen for its unmistakeable culture and feel. Though, there are also world-renowned tourist attractions right around the corner! Tourists from near and far flock to Tulum Mayan Ruins. You can access it easily from Soliman Bay, 30 miles (48 kilometers) away. What currency is used in Playa del Carmen? The Mexican peso (MXN) is the currency used in Playa del Carmen; however, the U.S. dollar (USD) is widely accepted in the main tourist area. What is there to do in Playa del Carmen? 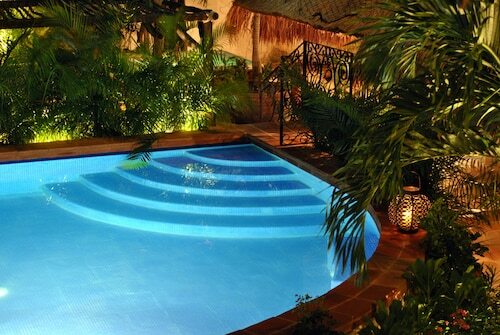 What is the best place to stay in Playa del Carmen? If you want to have everything within walking distance, you can’t beat the downtown area between 5th Avenue (Avenida 5) and the beach. This is the main tourist scene which features plenty of restaurants, shops, bars and clubs. 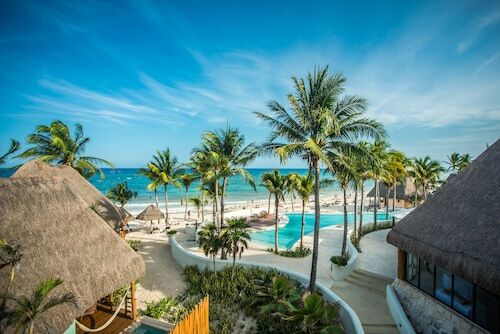 If you’re looking for something a little more family-friendly, check out Playacar. 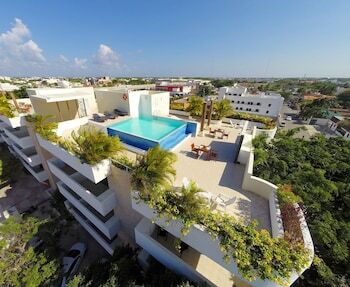 Located on the south side of Playa del Carmen, less than 2 miles away, this upscale and secure neighborhood has all-inclusive hotels and private condos ready to be booked. What is Playa del Carmen famous for? Situated near the boardwalk, this all-inclusive property is 0.5 mi (0.8 km) from Xplor Theme Park and 1.3 mi (2 km) from Xcaret Eco Theme Park. 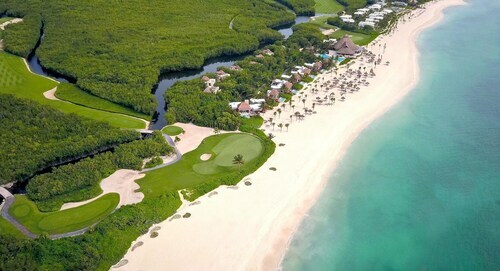 Playa del Carmen Main Beach and Mamitas Beach Club are also within 6 mi (10 km). 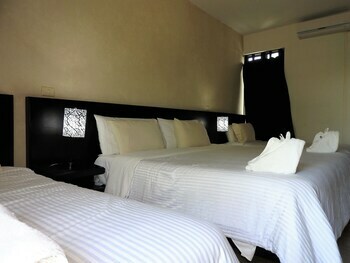 Situated in Playa del Carmen, this beach hotel is within a 5-minute walk of Mamitas Beach Club and Quinta Avenida. Quinta Alegría Shopping Mall and Pier Navega are also within 1 mi (2 km). 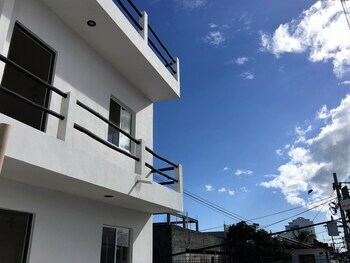 Located in Playa del Carmen, this beachfront property is in the entertainment district, 2 mi (3.2 km) from Grand Coral Golf Riviera Maya, and 2.2 mi (3.6 km) from El Camaleon Mayakoba Golf Course. 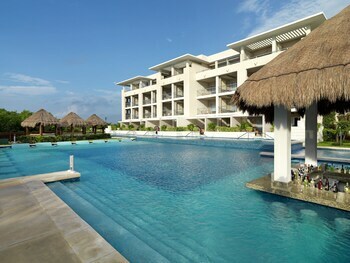 Mamitas Beach Club and Playa del Carmen Main Beach are also within 6 mi (10 km). 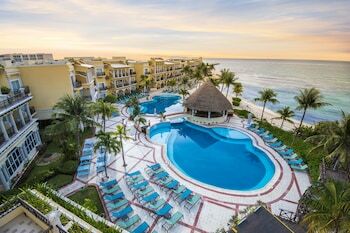 Paradisus Playa del Carmen La Esmeralda All Inclusive is a 5-minute drive from Coco Beach, where guests can snorkel beside the coral reef. It's a 5-minute drive to Playa del Carmen and the shops and bars lining Quinta Avenida, and just a little farther to Grand Coral Golf Club. 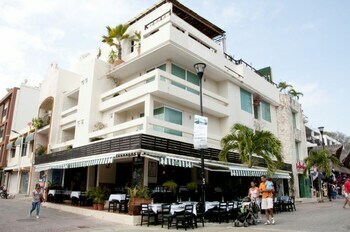 Located in the heart of Playa del Carmen, this hotel is within a 5-minute walk of Central Square and Quinta Avenida. Playa del Carmen Main Beach and Playa del Carmen Maritime Terminal are also within 15 minutes. 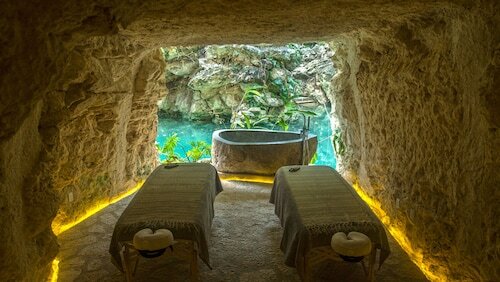 Located 5 minutes from downtown Playa del Carmen, 2 miles (3.2 km) from El Camaleon Golf Club and 2.7 miles (4.4 km) from Grand Coral Golf course, this hotel will redefine the experience of luxury. A 24 hour airport shuttle can take you to Cancun International Airport, just 35 miles away. 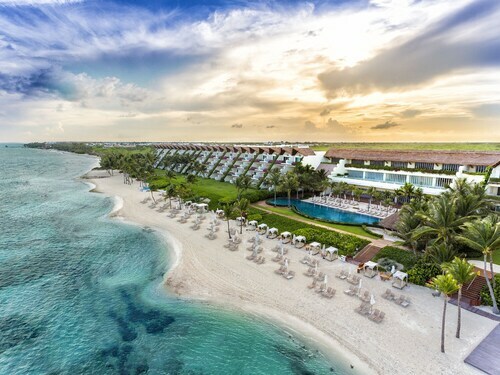 Located 8 km (5 mi) from Playa del Carmen on Mexico's Riviera Maya, the Fairmont Mayakoba occupies 45 acres of lush tropical forest and mangroves, set alongside a network of water channels.